At least 2 million Americans suffer from manic-depressive illness. For those afflicted with the illness, it is extremely distressing and disruptive. Family members of people with bipolar disorder often have to cope with serious behavioral problems (such as wild spending sprees) and the lasting consequences of these behaviors. Bipolar disorder tends to run in families and is believed to be inherited in many cases. Despite vigorous research efforts, a specific genetic defect associated with the disease has not yet been detected. Bipolar illness has been diagnosed in children under age 12, although it is not common in this age bracket. It can be confused with attention-deficit/hyperactivity disorder, so careful diagnosis is necessary. Most people with manic-depressive illness can be helped with treatment. 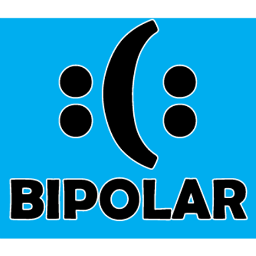 Bipolar disorder involves cycles of mania and depression. It may be helpful to think of the various mood states in manic-depressive illness as a spectrum or continuous range. At one end is severe depression, which shades into moderate depression; then come mild and brief mood disturbances that many people call “the blues”, then normal mood, then hypomania (a mild form of mania), and then mania. Recognition of the various mood states is essential so that the person who has manic-depressive illness can obtain effective treatment and avoid the harmful consequences of the disease, which include destruction of personal relationships, loss of employment, and suicide. Manic-depressive illness is often not recognized by the patient, relatives, friends, or even physicians. An early sign of manic-depressive illness may be hypomania–a state in which the person shows a high level of energy, excessive moodiness or irritability and impulsive or reckless behavior. Hypomania may feel good to the person who experiences it. Thus even when family and friends learn to recognize the mood swings the individual often will deny that anything is wrong. In its early stages bipolar disorder may masquerade as a problem other than mental illness. For example, it may first appear as alcohol or drug abuse, or poor school or work performance. If left untreated, bipolar disorder tends to worsen and the person experiences episodes of full-fledged mania and clinical depression. Depression: I doubt completely my ability to do anything well. It seems as though my mind has slowed down and burned out to the point of being virtually useless… [I am] haunt[ed].. . with the total, the desperate hopelessness of it all… Others say, “It’s only temporary, it will pass, you will get over it,” but of course they haven’t any idea of how I feel, although they are certain they do. If I can’t feel, move, think or care, then what on earth is the point? Hypomania: At first when I’m high, it’s tremendous…ideas are fast…like shooting stars you follow until brighter ones appear… All shyness disappears, the right words and gestures are suddenly there…uninteresting people, things become intensely interesting. Sensuality is pervasive, the desire to seduce and be seduced is irresistible. Your marrow is infused with unbelievable feelings of ease,power, well-being, omnipotence, euphoria… you can do anything…but, somewhere this changes. Mania: The fast ideas become too fast and there are far too many…overwhelming confusion replaces clarity… you stop keeping up with it–memory goes. Infectious humor ceases to amuse. Your friends become frightened…everything is now against the grain..you are irritable, angry, frightened, uncontrollable, and traped. Almost all people with bipolar disorder–even those with the most severe forms–can obtain substantial stabilization of their mood swings. One medication, lithium, is usually very effective in controlling mania and preventing the recurrence of both manic and depressive episodes. More recently, the mood-stabilizing anticonvulsants carbamazepine and valproate have also been found useful especially in more refractory bipolar episodes. Often these medications are combined with lithium for maximum effect. Some scientists have theorized that the anticonvulsant medications work because they have an effect on kindling, a process in which the brain becomes increasingly sensitive to stress and eventually begins to show episodes of abnormal activity even in the absence of a stressor. It is thought that lithium acts to block the early stages of this kindling process and that carbamazepine and valproate act later. Valproate has recently been approved by the Food and Drug Administration for treatment of acute mania. Children and adolescents with bipolar disorder are generally treated with lithium, but carbamazepine and valproate are also used. The high potency benzodiazepines; clonazepam and lorazepam may be helpful adjuncts for insomnia. Thyroid augmentation may also be of value. For depression, several types of antidepressants can be useful when combined with lithium, carbamazepine or valproate. Electroconvulsive therapy (ECT) is often helpful in the treatment of severe depression and/or mixed mania that does not respond to medications. As an adjunct to medications, psychotherapy is often helpful in providing support, education, and guidance to the patient and his or her family. Constructing a life chart of mood symptoms, medications, and life events may help the health care professional to treat the illness optimally. Because manic-depressive illness is recurrent, long-term preventive (prophylactic) treatment is highly recommended and almost always indicated. Some people with untreated bipolar disorder have repeated depressions and only an occasional episode of hypomania (bipolar II). In the other extreme, mania may be the main problem and depression may occur only infrequently. In fact, symptoms of mania and depression may be mixed together in a single bipolar state. This information has been excerpted from material developed by the National Institute for Mental Health. Please Click HERE to see my products page. There are some bipolar products and also many other products. Make a Difference. I have bipolar 1, and this is the first article I have read that explains what I go through everyday down to a “T”. Thank you so much. I am going to post it to my facebook page because everyone should read it. I feel the need for my close family and friends to understand me…to know why I do the things I do…why I am the way I am. I feel that I am confusing to them, because I am confusing to myself. I have done hurtful things, and I have tried to make amends, but I feel like this article can explain to those that I have hurt exactly what goes on inside my head better than I could ever explain. What really needs to be emphasised – and what the mental health establishment has been incredibly remiss in neglecting – is that the two biggest trials of bipolar medication thus far, STEP-BD and STAR*D, provided very strong evidence that antidepressant use leads to poorer prognosis for bipolar patients. In fact they are probably the single greatest cause of rapid cycling bipolar. As with any psychiatric medication, do not stop taking your antidepressants cold-turkey. You should seek medical advice on the best way to do so while minimising the effects of SSRI discontinuation syndrome (i.e. withdrawal symptoms). If you have been experiencing rapid cycling bipolar – especially if it started after commencing antidepressants – and your doctor refuses to assist in helping you withdraw from antidepressants I would strongly advise seeking out a doctor who is informed by journals and clinical trials instead of by drug company representatives. Good stuff here. I have a whole family with BP. I’ve watched them struggle to survive much less live. They won’t accept they have a mental illness due to fear of social stigma but they will accept stumbling along alienating themselves and others with their destructive patterns. Important information for all people and I say this because the next disrespecting or alienating person you meet does not typically understand the reasoning behind the choices they make, that there is a better way, how to achieve that better way, or if they do know, they don’t have the will-power to form the habits needed to live the better way. Your awareness communicated to them with respect may be the only opportunity they have and just the opportunity for awareness they need. Taking it a step further, if you are willing to communicate awareness-knowing you might be rejected-you might find that they are receptive in allowing you to point them toward the resources they need to self-educate. Most people don’t understand or care to understand, but the fate of society lies in the civic responsibility to make others aware of their personal responsibility.